When self-storage kingpin and Bond Street property baron Adam Gordon (he's developing 41-43 Bond Street) bought the gorgeous Bouwerie Lane Theater building for $15 million last year, his ambitious plan was to spiffy the place up and turn it into a mansion for his family, complete with a two-story climbing wall. 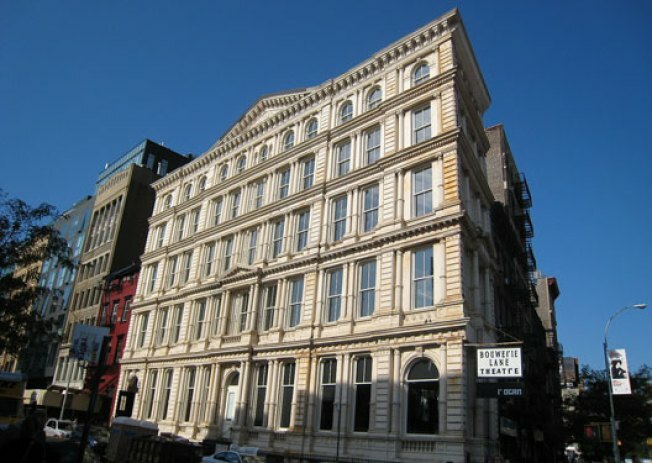 Since then Gordon has fixed the place up and installed high-end fashion store Rogan in one of the retail spaces, but the Gordon clan has not taken up residence in the 1874 landmark. They won't. Today, Gordon listed the entire six-floor building for $36 million, via Downtown superbroker Robbie Browne. That's a mighty large price increase, but the building has "all new infrastructure, mechanicals, heating/air conditioning, windows and new elevator," not to mention some starchitecture neighbors. According to the listing, the aim is still a single-family residence, but the status of the climbing wallsweet sweet climbing wallis unclear.